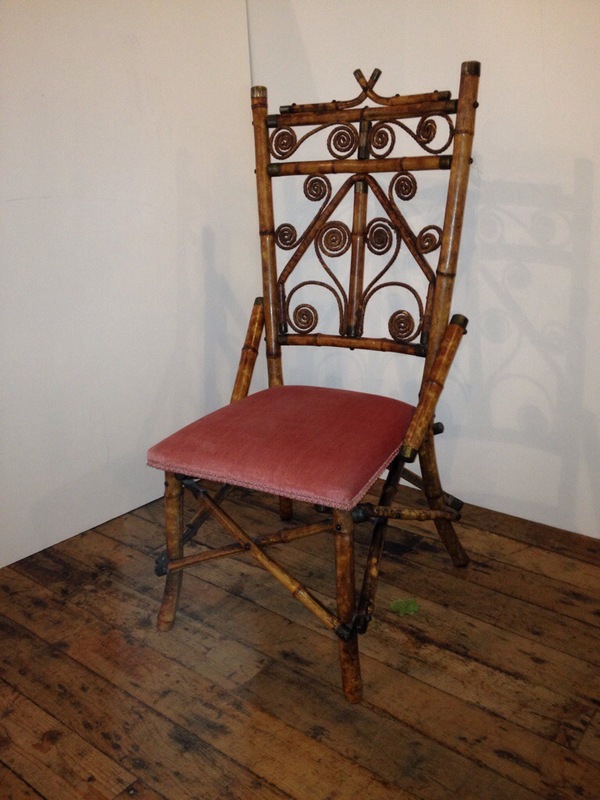 An antique tortoiseshell cane and seagrass occasional chair. 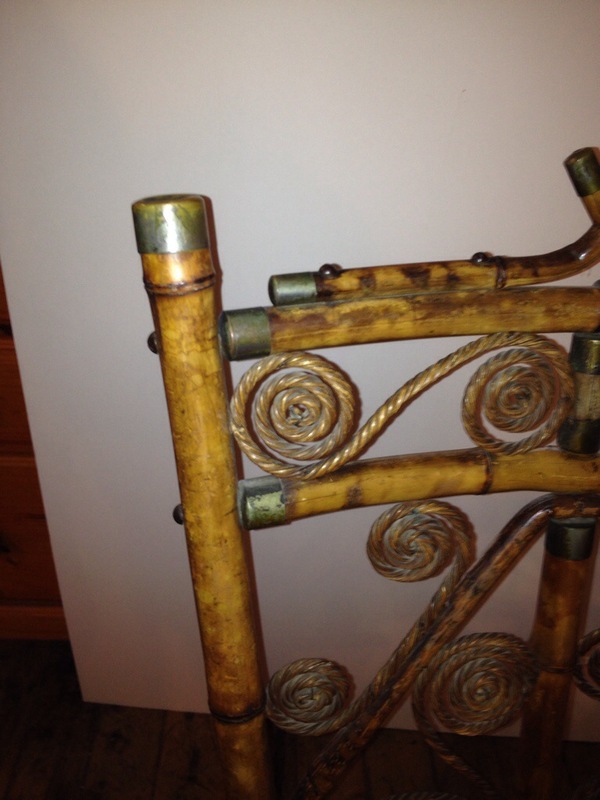 Everything in good order down to the original black domed screws and intact seagrass curls. $225. Probably early 1900’s. Now sold.